Kirsty is the Chief Executive of the Mayor’s Fund for London. Previously, Kirsty spent eight years as CEO of ERSA, the membership body for providers of employability services, where she oversaw a five-fold increase in membership and a major expansion of services. 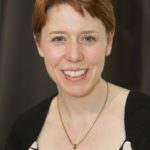 She also served as Director of Partnerships and Director of Regeneration at Business in the Community, where she ran work on employment and enterprise, plus led BITC’s national delivery programmes, including a network of 100 local groups delivering regeneration, employee volunteering and pro-bono schemes. Kirsty is currently a member of Impetus-PEF’s Investment Committee, sits on a Big Lottery Fund panel and is a non executive director of an East London housing association. 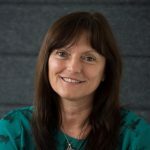 Kim has delivered successful grant led projects and programmes both in the public and the third sector, and has extensive experience of working with diverse stakeholder groups across the UK to both secure funding and deliver and embed cutting edge programmes. Her primary interest is community engagement and regeneration. In particular, she has worked with local partnerships to develop solutions tackling long term worklessness. In her early career, Kim spent time working for the Princes Trust as the Northern Director of the Volunteers Programme in some of the most economically deprived areas of the North of England, Scotland and Northern Ireland. She has worked at a national level on a number of training schemes including the development of Youth Training Programmes. She moved to work in east London in 2007 where she worked with the Olympic Host Boroughs leading their devolved employment, skills and schools programmes. Kim joined the Mayor’s Fund in 2012 just when the charity began supporting school breakfast clubs. This experience has sparked a new passion to ensure no child goes hungry or is left isolated at holiday time. 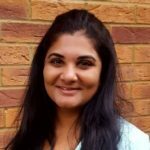 Pooja joined the Mayor’s Fund for London in May 2017 as Head of Finance and Operations with over 13 years’ experience in the Charity and Not for Profit sector. Prior to this, Pooja worked for 6 years as the Head of Finance for Genetic Disorders UK (a charity which runs the Jeans for Genes campaign). In addition, Pooja has also worked 5 years for a top 20 firm of accountants, Saffery Champness, as an auditor within the charities team. In her spare time Pooja enjoys yoga, gardening and takes a keen interest in the conservation of African elephants, particularly in Kenya, which is where Pooja was born and raised. Sietske joined the Mayor’s Fund for London in 2015 as Head of Employability Programmes. Her role involves overseeing delivery and contract management of a portfolio of employability projects. A key part of the job includes building an evidence base of what works in addressing youth unemployment in London. Prior to joining the Mayor’s Fund, Sietske worked in international development for over 13 years where she developed specific expertise in youth employment, entrepreneurship and microfinance programming. After re-settling in London, Kylie joined the Mayor’s Fund for London in early 2018 as Executive Assistant and administrative support to the Board of Trustees. Prior to joining the Mayor’s Fund, Kylie spent time living and working in Luxembourg, Paris and Melbourne. With over 20 year’s experience in fundraising and PR sectors, Patzi has worked in-house for leading charities including Save the Children, Comic Relief (as part of the first Red Nose Day team) and Tommy’s, the baby charity. As a consultant, she created and developed marketing-led, fundraising projects for a wide range of charities including BAFTA, MediCinema, Face Britain, the award winning self-portraiture project for The Prince’s Foundation for Children & Arts and an It’s Our World environmental arts project for the Big Draw and United Nations Environment Programme. Maryan joined the Mayors fund July 2014. She works with the Young London Working team as an Administrative Officer to support and ensure the smooth running of the team. Her work includes inputting and updating candidate records, maintaining an up to date filing system as well as posting jobs on our website and twitter. Previously Maryan worked at Off Centre in Hackney, a charity providing counselling and advice and employment service to young people. Maryan enjoys working for services aimed at helping young people. That’s one of the reasons why she also volunteered as a mentor for a year. She finds it very rewarding to help young people find their passion in life and help them work towards building a future towards it. Sheetal joined the Mayor’s Fund for London in September 2016. She has a background in youth work and education, having previously supported young people to develop and deliver community projects, as well as spending a year volunteering in an inner-city London school with the charity City Year. Sheetal’s role at the Mayor’s Fund involves supporting the Schools team to deliver programmes, as well as coordinating the Youth Board. She is passionate about social change, and enjoys campaigning, writing, and travelling in her spare time. Oliur joined the Mayor’s Fund for London in April 2016. He started his career as a graduate intern for the Growth Boroughs Unit working on employment and skills programmes in the Development, Games time and Legacy phases of the Olympics. He went on to became the Project Manager for Convergence, leading on the employment, skills and economic development theme for the sub-regional partnership, with an organising principle of giving East Londoners the same life chances as the rest of London. Oliur has extensive experience of designing and managing employment and skills programmes, in addition to developing strategies and policies. He has developed an expertise of developing funding bids, most recently successfully bidding for £8m of European Funding for a programme to support people who are long term unemployed from East London, into work. Oliur later went on to manage the Mayor’s Fund for London’s Tech Up Nation apprenticeship programme. Oliur lives in East London and is passionate about supporting Young Londoners in achieving their full potential, having himself benefitted from an employment programme at the start of his career. When he is taking a break from this aim, Oliur enjoys travelling. As the Office & Communications Manager for Access Aspiration, Zu oversees the events organised within the programme. She is responsible for the social media channels as well as video and design content. Zu is passionate about empowering young people and volunteers as a personal tutor. Prior to this she worked in television production, alongside freelancing as a children’s books illustrator. Michelle joined the Young London Working Team as our Caseload Officer in 2016. Her role involves providing one-to-one employability skills support to young people on our caseload, ensuring they are well prepared to secure a job or apprenticeship. Michelle has previously worked for a social integration charity, on a volunteering and employability programme, using volunteering as a vehicle to achieve social integration. She has done some volunteering work in East Africa supporting university students on livelihoods projects. She has a strong passion for our mission around social mobility and believes every young person no matter their background, should have the opportunity to take advantage of the greatness London has to offer. Shifa joined the Mayor’s Fund in 2017. She worked in the Young London Working team and then moved over to our flagship employability programme, Access Aspiration. Her role involves matching over 2,700 students from schools with high levels of pupil premium, to work experience opportunities. She works on a student engagement strategy to reach out to students who are hard to reach or disengaged from the programme. Shifa also sources business volunteers for in-school activities such as mock interviews and speed networking. Shifa is passionate about social mobility and helping young people get the best opportunities available and reach their full potential. She has previously volunteered at an advice centre where she helped residents with housing, benefit and debt issues. Emma joined the Mayor’s Fund in January 2017 as a Senior Employer Account Manager. Emma has a strong background in account management and business development, largely in corporate organisations, but over the last three years took a different path and has previously worked on projects helping young people through apprenticeships and traineeship programmes to gain access to the tech sector. Emma is responsible for engaging with employers across a range of industry sectors to unlock quality employment opportunities for our young people across London and in turn help companies link in with talented and focused young people determined to carve out a sustainable career. When not in work Emma likes to spend time helping animals and fundraising for causes related to them and is very attached to her pet dog Pops who is Spanish. Another passion she has is music and she likes to go and watch bands when she can. In a former life Emma lived in the Far East where she had a brief stint as a model for bridal gowns! Philip joined the Mayor’s Fund for London in April 2013. 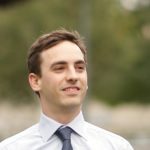 Since that time he has designed and developed database systems to provide dashboards and management information for the Young London Working project. As well as computing systems, Philip has a background in accounts and qualified with the Association of Accounting Technicians in 2010. His previous roles include Finance Manager for Billingsgate Seafood School where he was responsible for writing, implementing and auditing internal finance procedures. In his spare time Philip enjoys road cycling and is a keen amateur photographer. As Senior Employer Account Manager, Andrea is responsible for engaging with employers across a range of industry sectors to unlock quality employment opportunities for our young people. Andrea joined the fund after four years with Ingeus, the UKs largest provider of the government Work Programme. As Employer Partnership Coordinator, she was responsible for 3 delivery sites in South Essex, establishing links with employers to generate appropriate and sustainable vacancies. Acting as Account Manager to build and maintain close working relationships with a range of local employers. Analysing market trends to identify potential business opportunities to secure sustainable jobs.